Recruiting talent for your small business? Then you know how hard it can be to find the right person for the job. In the first two articles in this series, we talked about knowing your audience and planning your strategy. Today, let’s consider the tools you have at your disposal and how you can use them most effectively. Which Tools Are Right For the Job? Recruiting involves a many-step process to move potential candidates from awareness to consideration to hire. As you walk through each step, you’ll use a variety of tools to communicate your message, screen candidates, and track applicants. But sometimes it’s hard to decipher which tools will get the job done most efficiently. As they say, to a hammer, everything looks like a nail. But you can’t use a hammer to do the job of a screwdriver. Having the right tools at your disposal can mean the difference between getting the job done right and not getting it done at all. The recruiting process is a lot like dating. You want to put your best foot forward, make your company as attractive as possible, know your requirements and deal-breakers up front, and let the candidate know you value his or her time. 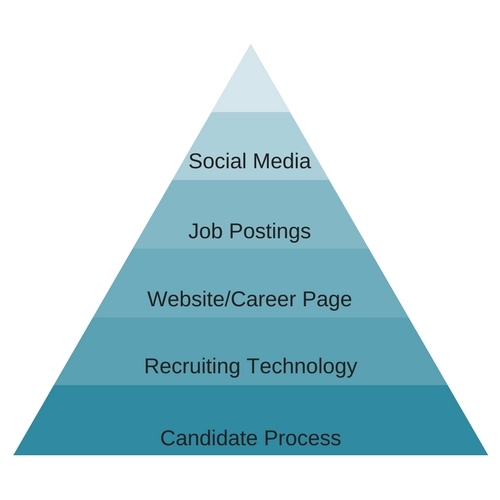 Your recruiting technology should support your candidate process, not drive it. Technology helps you manage applications, sort resumes, send timely emails with autoresponders, and create personalized candidate experiences based on predictive analytics. There are plenty of recruiting technology solutions on the market, so the key is finding one that works within your hiring culture so you can make the best possible decisions. Remember, too much automation can make the process feel cold and impersonal—and it can cause you to overlook some of the best candidates. Use your career page not just to post job listings, but also to market your company to candidates. Include secondary calls to action such as signing up for a job newsletter or job alerts list so that visitors who may not be ready to apply still have opportunities to interact. And because 77% of job seekers now use mobile phones to search for jobs, it’s also a good idea to include a mobile apply option if possible. Post your job on external job boards like CareerBuilder and GlassDoor of course, but also consider using other resources like Facebook’s new jobs capabilities and LinkedIn’s Talent Solutions. Keep job postings succinct, and broaden your candidate reach by limiting your job requirements list to only those qualifications truly necessary for the job. You can include optional skills and credentials like certifications, years of experience, or knowledge of WordPress under your “preferred” list. Almost 80% of job seekers use social media to search for opportunities. Use your social accounts to target specific segments of your audience, post job ads, and create conversations around your employer brand. It’s also a great way to network with people who may refer candidates to you. 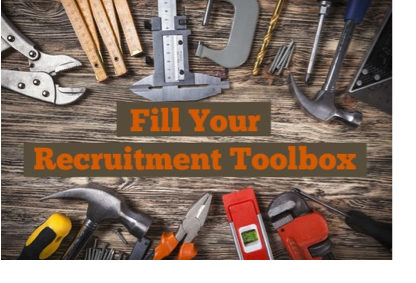 Recruiting tools can make your job easier, but they can’t replace human connection. Personalizing the candidate experience means taking the time to create positive interactions for every candidate so that your company stands out from the crowd of competitors. It means treating candidates like individuals, not robots. In our final post in this series, we’ll dig deeper into the topic of personal connection with a discussion about how to engage candidates using networking, social interaction, and personalization.